uPVC doors & windows were invented in European countries about 60 years ago. 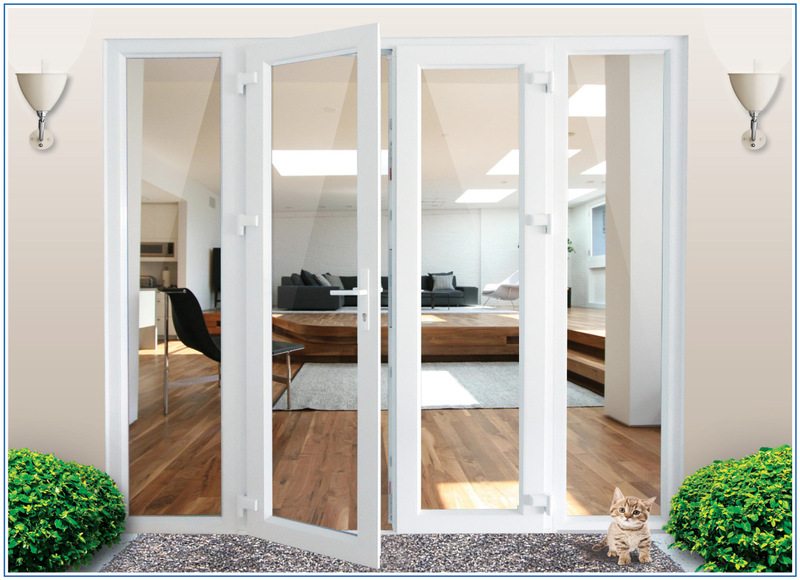 Thanks to the features, benefits and compatible with many diffirent architectural styles, uPVC doors & windows quickly become popular around the world. 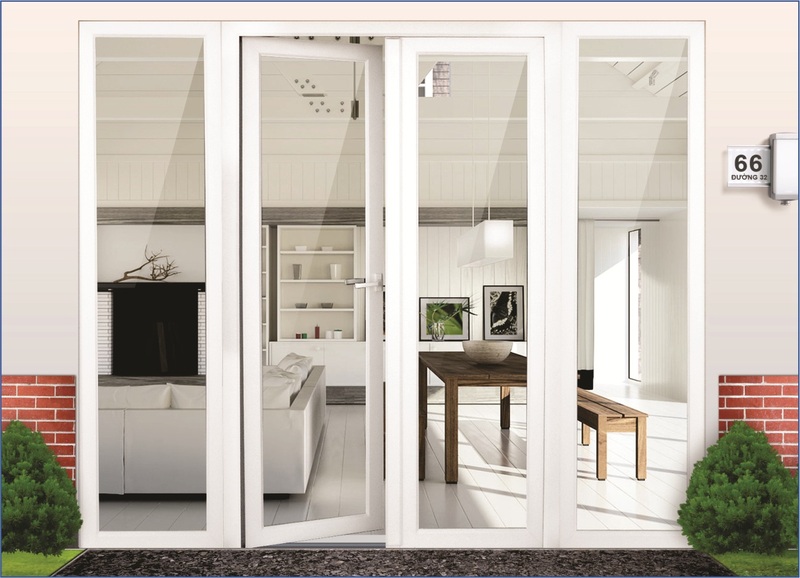 In particular, compared to the product with the same features that made from wood or aluminium, uPVC doors & windows has reasonable price and environmentally friendly. 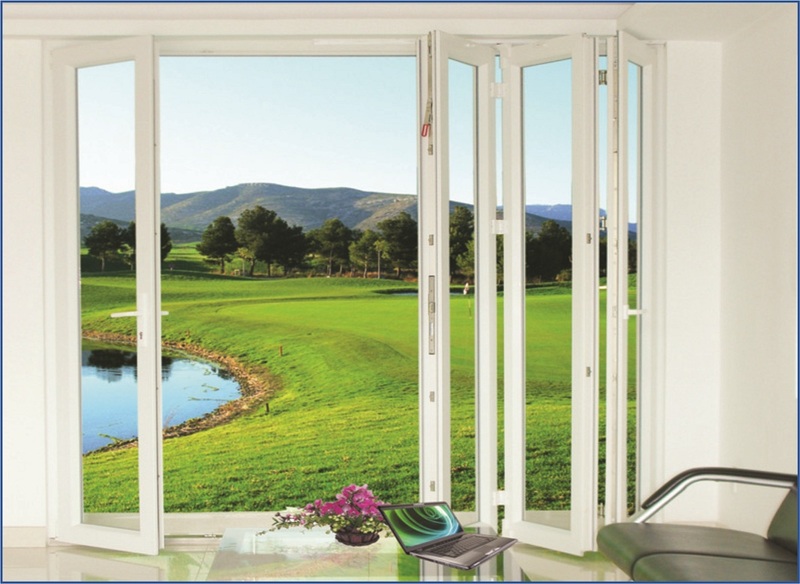 This is the reason why uPVC doors & windows is often used for private houses, villas and apartments. 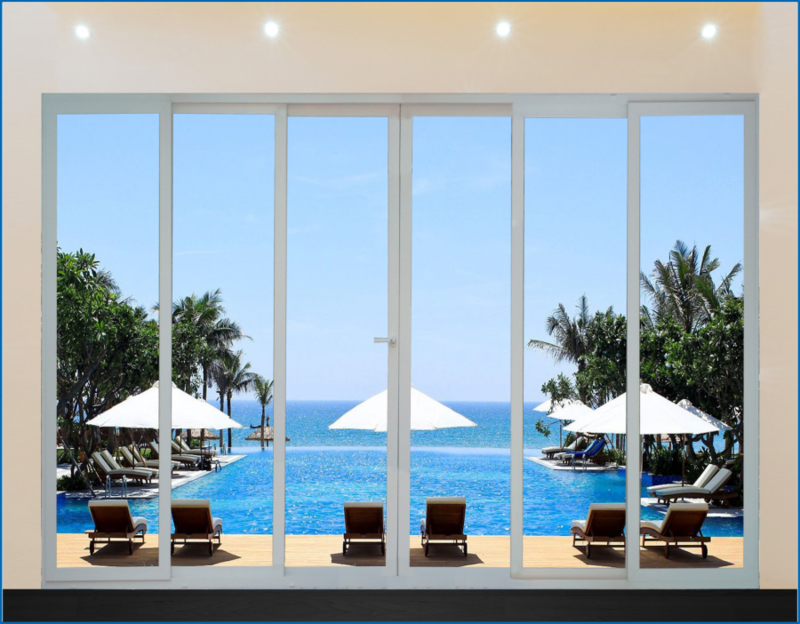 EBM uPVC doors & windows are produced from bars of famous brands from Germany: INOUTIC. These are the top quality uPVC bar manufacturers in the world. Besides, EBM also imports hardware from European such as: WINKHAUS, SIEGENIA, ROTO (Germany),… for sync with the following bars. 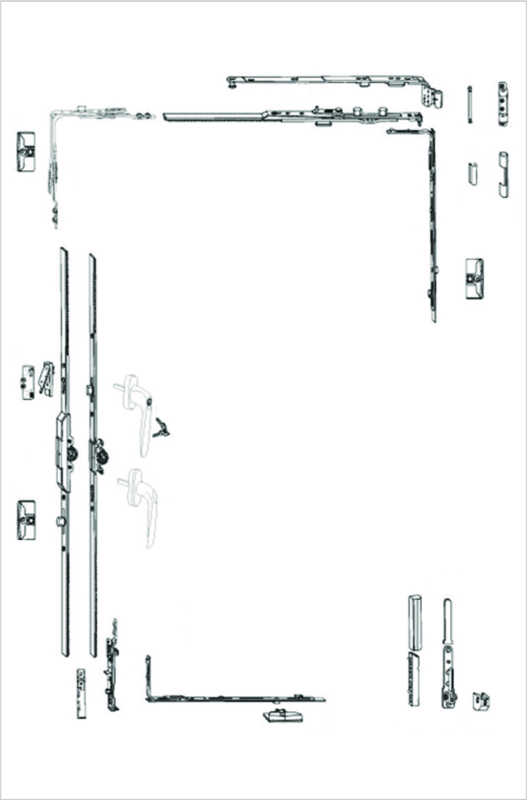 The hardware fittings have diversified structure suitable with the size and type of different doors & windows. 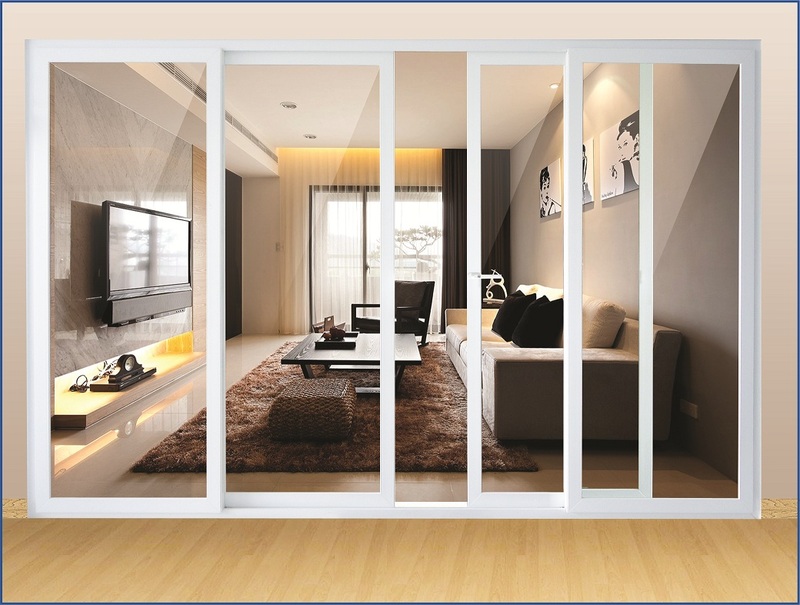 Potentialy for soundproofing: Due to uPVC and Aluminium profile have emty chambers, glass box is pumped with inert gas with closed gasket, they are good sound proofing and energy saving. High durability, not warp shrinkage: Due to having reinforced iron in uPVC bar, on beside uPVC containing many additives to increase durability and anti oxidants in hot and humid climate in Viet Nam. Can be use diffirent building structures: Due to diversified samples and sizes with scientific design and convenient for construction, they are suitable for Vietnamese building structures. 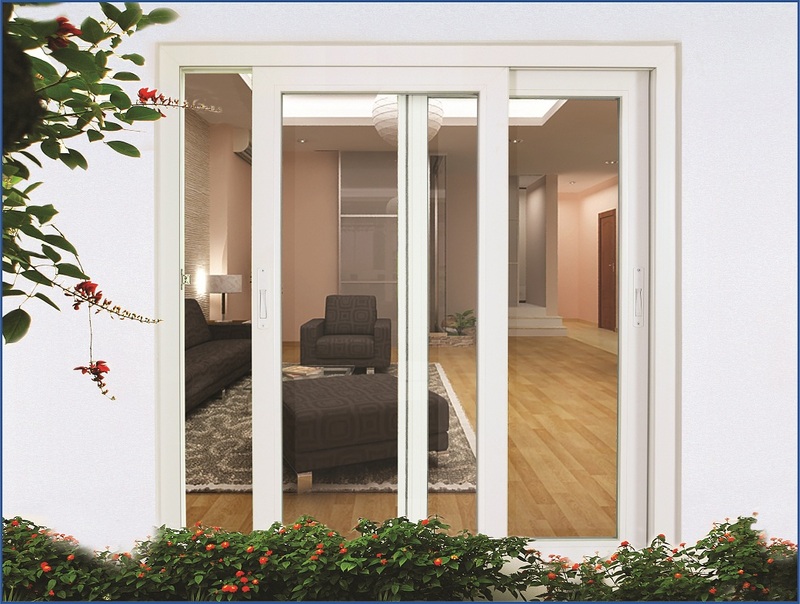 High economical efficiency: uPVC door have high durability, door frame is not deformed and keeps good colour in long time, low fee for maintenance. 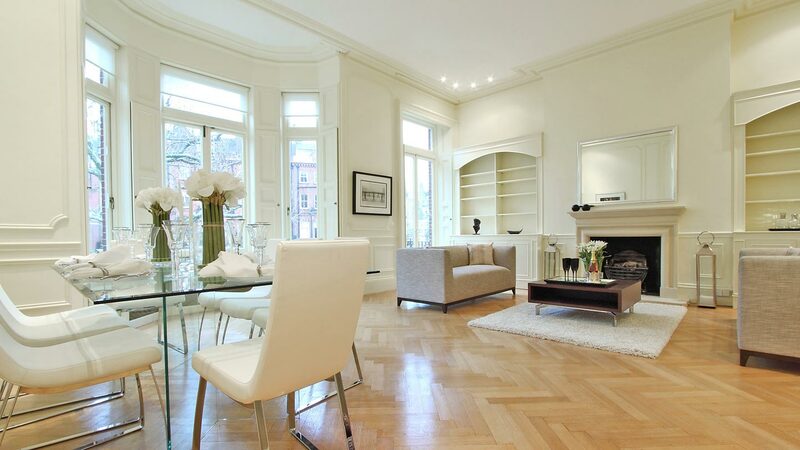 Moreover due to good insulation should also save energy when using air conditioning. 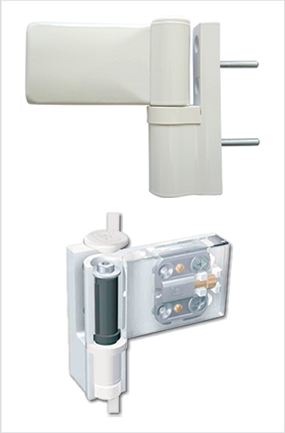 High safety: Due to hardware accessories system have many keys, doors & windows brace is designed inside, on the other hand can use safety glasses or between two layers of glass may be reinforced metal bars fit decorate both protect and fight against the penetration into the house. 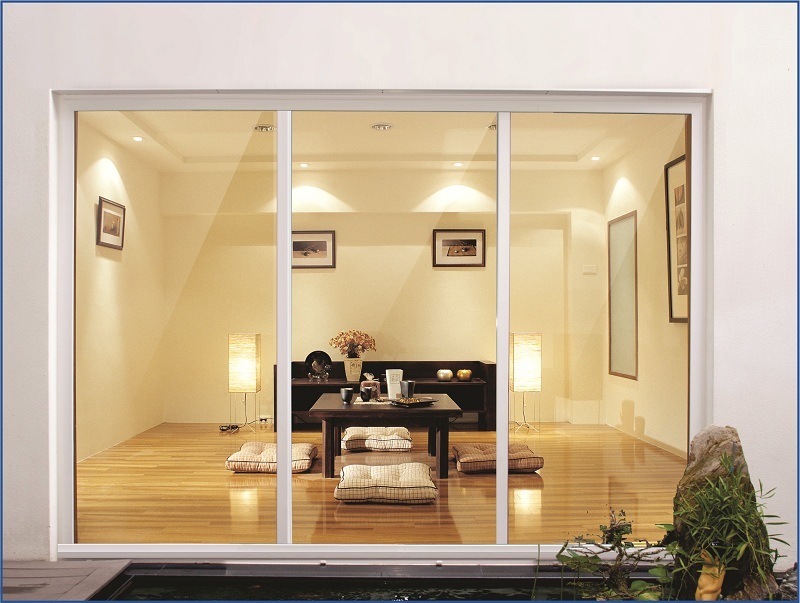 EBM uPVC doors & windows are produced from bar of famous brands from Germany: INOUTIC, REHAU. These are the top quality uPVC bar manufacturers in the world. 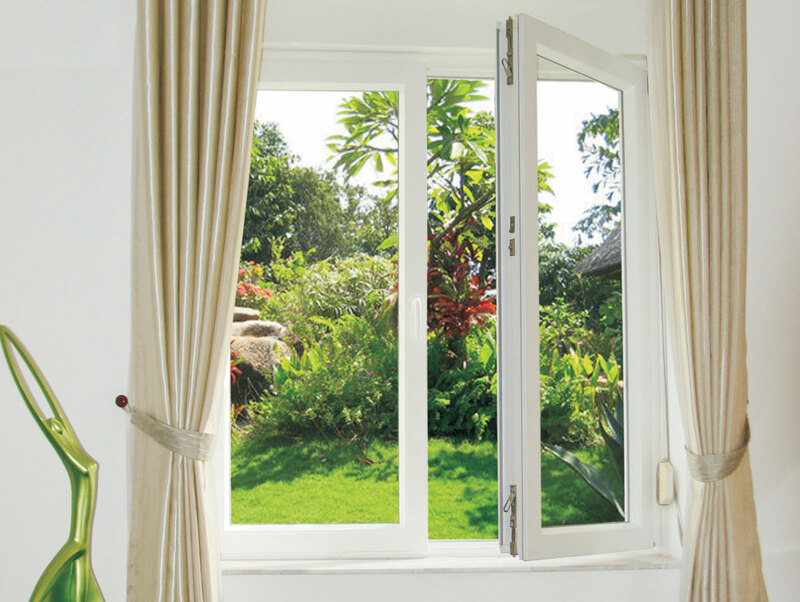 Easy to maintain and clean than Inward Opening Windows. The opening does not affect the space inside the house. Safety, easy to maintain and clean (special for high-rise buildings). Suitable for houses having narrow outside opening. Usually be used for low-rise and high-rise buildings. Usually be used for houses having limitted space. Usually be used to make entrance door or door needing large space for private house. Suitable for houses with limited space. Good sound proofing and heat insulation. Lightly, easy to install and maintain.